This interview is part of a recurring column that highlights professors, scholars, and experts coming to speak on related topics at the McMullen. 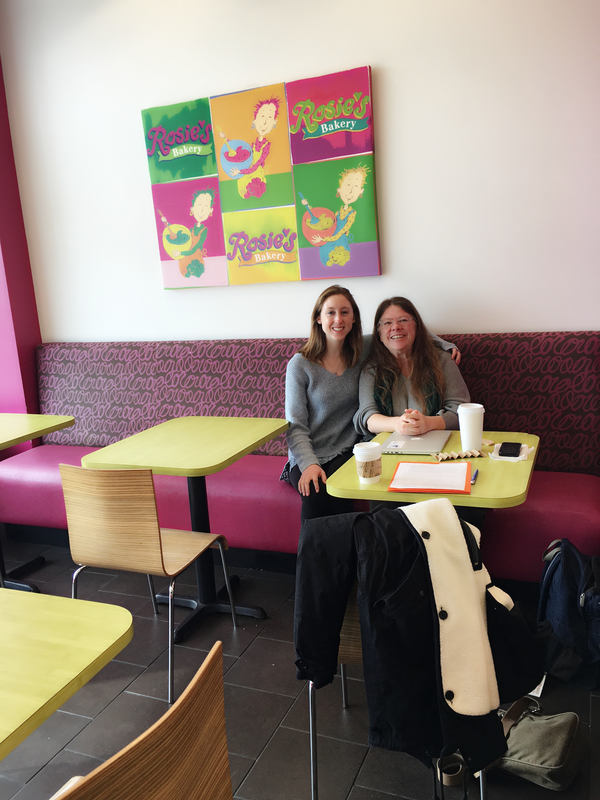 Faye Hubregsen, a Student Ambassador, met with Dr. Mary Malloy, a Museum Studies professor at the Harvard Extension School, in preparation for Dr. Malloy’s lecture at the McMullen on March 16th at 5:30 pm. Dr. Malloy will be speaking on European cathedrals as destinations for pilgrimages, and how these cathedrals attracted visitors. Read on to learn about Dr. Malloy’s entrance into the world of museums and her fascinating research! MARY: I came onboard at Harvard in the Museum Studies department when they turned it from a certificate to a master’s degree. I taught a required course called Research and Scholarly Writing in Museum Studies and that was the first class I was hired to teach. I’ve taught that I think 10 times and was the advisor on a number of master’s theses. Then I wanted to teach a course on the history of museums which was a topic I was really exploring. I think I’ve now taught that course now 10 times too. I was a music major then. In fact I was a violin player that thought I would end up playing in a symphony orchestra. But you know life takes you off on strange paths. FAYE: Yeah, it would be great to get a sense for how the shift comes about. MARY: I went to Ireland when I was a junior in college and I spent the summer in Ireland as a violin player and got really interested in traditional Irish music and started to learn fiddle tune and technique. When I went back to Seattle, I sort of plugged into the folk scene there and played with a band called Morgan for four years. We played music from Ireland and the British Isles but then became interested in sea music. I then found myself interested in how ships worked and so I shifted over to an interest in maritime history. My first museum job was at the Peabody Essex Museum at Salem in the Education department where I did a lot of programs on sea music. 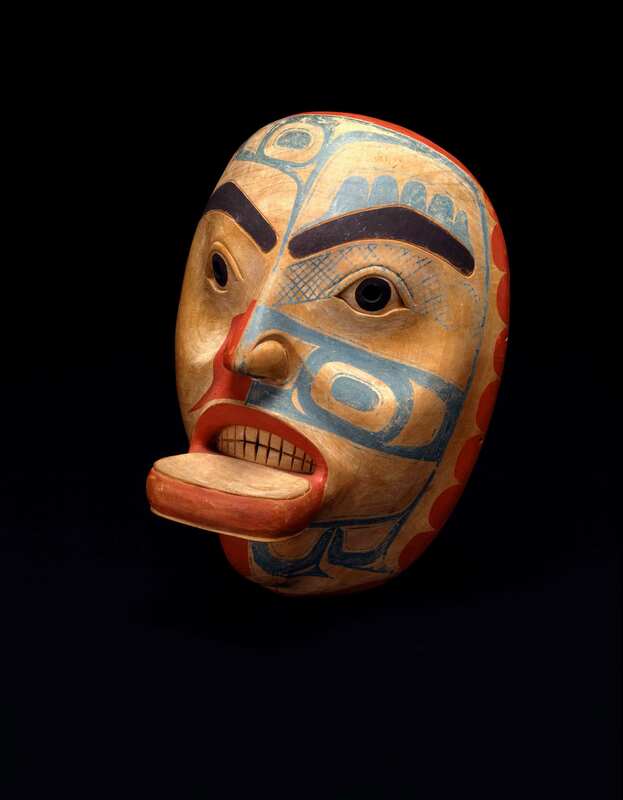 That was my start into the world of museums, and there, I had an encounter with an artifact that changed my life–a Northwest Indian mask. Since I’m from the Northwest, I became interested in how this object, which was a very early object from the 1820s, had gotten from the coast of British Columbia to Salem, MA. I came to BC for a masters degree in American Studies and did my thesis on that exhibition in Salem on Northwest Indian artifacts. Then I decided I was really interested in the topic of how the trade between New England and the Northwest Coast worked and return of objects back to New England museums. The Peabody Essex was actually founded as a mariner’s collection in 1799 called the “East Indian Marine Society.” That object that arrived in the 1820s has steered my research for 35 years. Today, there is a lot of contentiousness about American Indian objects in US museums. There is a law from 1990 (NAGPRA) that regulates how museums work with American indian tribes over potential repatriation of objects. It states that American museums have to catalogue their American Indian collections in a way that makes it possible for federally recognized travel groups to request back objects. FAYE: I was going to ask you about that as I am taking a course with Professor Nancy Netzer at BC on the history of museums and we have started to address the question of museums being obligated to promote repatriation or is there an obligation towards promoting diversity and allowing visitors to have exposure to these diverse objects. MARY: That’s one of the big questions in museums today: who owns the cultural objects and how were they acquired? The stealing and destruction of cultural things goes back as far as we can record objects. There was a Mesopotamian king that collected things from people that he had conquered and archaeologists found these great big rock carvings in Iran from places far in the east spanning miles apart, brought back as war booty. How do we deal with collections that have been transported from one place to another? With American Indian stuff, it’s not simply an ethical question, but a legal question because of NAGPRA. A large number of skeletal remains have gone back to tribes from museums since NAGPRA was passed. The return of grave-goods, cultural patrimony, and sacred objects are all handled on a case-by-case basis. These masks for instance, should they go back? I don’t think so, because they were made for a souvenir trade and they were freely traded at an early period of contact. There are certainly other Northwest objects that were acquired under shadier circumstances, including skeletal remains. Franz Boas admitted he robbed graves to use skull measurements to determine the connection between Asia and American Indians. Is that acceptable today? No, absolutely not. But there are still lots of skeletal remains and mummies in museums today. In fact, mummy exhibits are the most popular in museums today. There are a lot of ethical questions that come with exhibitions like Body Worlds and Real Bodies, and they are largely not asked because they are presented as science. Where do these corpses come from? It is unclear if there is any permission or informed consent in those shows. Human remains continue to be a big issue. MARY: We are interested in death and what happens to corpses. This is one of the things I will talk about when I come back in March. One of things I’m interested in with Medieval cathedrals is the relics that draw people to travel there. This is something I am fascinated by, how objects acquire meaning. If I give a group of people a piece of wood and tell them this was from the cross that Christ was crucified on, there is something very powerful about that. Many people would feel that the wood would have the power to work miracles, to cure people with illnesses. But what if I tell them that’s the wrong piece of wood? Instantly, that power is gone. A lot of what we invest in these things is faith and imagination. And in fact, true cross relics are all fake. Thomas Becket, who was the Archbishop of Canterbury, was murdered right on the altar of his cathedral in the 13th century. The crown of his head was lopped off with a sword and he fell to the floor. When the soldiers left, people got out towels to sop up all the blood and cut the brains into little pieces, and those became little relics. Those were genuine for a time until eventually fakers made fakes of those. FAYE: And so you have actually experienced some of these pilgrimages across Europe. MARY: Yeah I actually walked across England to recreate the wife of Bath’s pilgrimage from Canterbury tales. I had a sabbatical and I wanted to do something. And I have been doing a number of arranged travel around literary themes. I did a SEA Semester out of the South Pacific and flew from Boston to LA to Tahiti and sailed around French Polynesia and then I went from Tahiti to New Zealand to Kuala Lumpur to Paris to England, Rome, and Florence. And I’ve had a chance with SEA to really follow Cook and Melville up the South Pacific. The first of my three novels, The Wandering Heart, was based on my dissertation. It was the frustration of writing history where you can’t stray very far from your source material. You can’t get into speculating too much about things if you don’t have the evidence for it. I was writing the novels were all tied to nonfiction work that I was doing. So I did this pilgrimage across England and my agent suggested instead of a nonfiction book, I turn it into a second in a series. So that second book in the trilogy [Paradise Walk] is about me walking across England and encountering relics along the way. The third book, which I gave you is the Wonder Chamber where the character curates the exhibit. So I novelized that walk across England. FAYE: In terms of writing this book you are working on now, what’s the process like? MARY: The history of museums book was originally organized according to the lectures I give for my course at Harvard. It’s basically chronological. But as I’ve been going through the literature, one of the things is that because it is a survey that starts 3000 years ago, I’m having to change my own process a bit. That has been the hardest thing for me. I started with the ancient world, which I didn’t know much about so I read a lot about archaeology of Mesopotamia and museum catalogues and collections in various museums and was looking for touchstones I could use. Then the second chapter is actually about the medieval cathedrals. I knew a lot about that, but then I got sort of mired in details in looking at collections of relics until I had so many that I thought were cool stories that it was way too much. Now it’s the editing part that is a challenge. I’m trying to kick it up a bit and I’m working now on a chapter that is about the scientific organization of the collections starting in the Renaissance. I wish I could say that I have this really regular procedure and that I sit down every morning at 9 o’clock, but it does very much go in fits and starts. I’m trying to streamline things now. I’m interested in how the split came between art and artifact–how things by Europeans are art and things by non-Europeans are artifacts. Is it appropriate today that we still have these great natural history museums like the Museum of Natural History that has a fabulous Northwest Coast Indian collection, Polynesian collection, and African collection and also minerals and rocks and dinosaur bones and dioramas of the African veldt — I don’t think so. Unless you are going to bring Europeans into that museum and look at humans as [part of] the whole of the natural landscape, I don’t think you can have just non-white humans in that museum. When they opened the American wing at the MFA, they had some American Indian things down in the basement with colonial art and maritime art. There is a chronological narrative that moves up the floors. You have the 18th century on the 1st floor, the 19th century above, 20th century contemporary art on the 3rd floor, and then down in the basement is colonial art and American Indian Art. First of all, most of the American Indian art on display is from the 19th century. They also have great contemporary artists down there in the basement because they are American Indian rather than up on the 3rd floor. To me, it shows a point of view that persists. I think it needs to be challenged in a big way. FAYE: Who is likely to spearhead and address this? MARY: It’s one of the things about this NAGPRA legislation. We understand Native American tribes so largely through museum artifacts that the discipline of anthropology is so influenced by museums and museum collections. In a way, this legislation put a burden on museums to make up for the disgraceful way that the American government treated American Indians, so museums are all required to catalogue their museums in a certain way and make them available. It was a burden for a lot of museums. A lot of museums with Native American collections thought they were not going to be able to have them anymore. And actually something really great came out of this which is that a number of museums that were really serious about this have ended up with much closer relationships with tribal groups as a result of NAGPRA. The result is a positive one. The Peabody Museum at Harvard, which I am associated with as a fellow is really one of the leaders in repatriation. They have 4 people on the staff whose job is just to deal with repatriation issues and American Indian tribes. They say that they are the stewards of collections and in some cases, that is literally true. Many tribes that have the legal right to claim them have found that they don’t really have a way to take care of them, so what they’ve done is transferred ownership so that the tribe owns them but the Peabody continues to maintain it. In some cases, they’ve asked for things to be taken off exhibit, put into storage. The Peabody has Iroquois false face masks in storage because they are so powerful to Iroquois people that you are not supposed to be casually looking at them. The National Museum of the American Indian, Smithsonian, has a whole special storage facility where they keep things stored in ways that are consistent with views of the tribe also to make things available for tribes to interact with. They have a special room there where if you want to burn sage grass around the object, they are able to do that. So they built all this stuff into their facility to be able to accommodate how Indians interact with objects. FAYE: It’s amazing because I view museums, and in some ways they are this enigma — a lot goes down underground sometimes literally. Something that I’ve been thinking about, we have a committee dedicated towards social media and publication. I wanted your perspective on how museums can leverage social media, what’s the best way to go about, and what are the limitations. MARY: I have a research assistant at Harvard that is helping me look at social media at museums right now. Museums are really behind the curve on web-based stuff altogether. A lot of museums have access to their collections database online. That’s a terrific thing for research. In terms of social media, it’s critical for keeping your audience informed about programs. I’ll give you an example from the Peabody at Harvard. There’s an exhibit there now that went up a few years ago curated by two friends of mine, Castle McLaughlin (curator of Native American collection) and Butch Thunderhawk (artist from the Sioux reservation). This is an exhibit built around a Lakota ledger book that described the battle of Little Bighorn. The exhibit has been up for 3 or 4 years but it represents the people who have been the protestors against the oil pipeline in South Dakota – it’s the Standing Rock Sioux. So how do you tie in an anthropological exhibit to current political situations? Social media is the perfect answer to that. I think that it both builds audience and interest among people who can’t get there to see it. Lots of museums in the US and Europe have various social media accounts to get out word like that but also to advertise, educational events, social events to look for specific audiences. Most museums are looking to develop an audience that is under 30 and a lot of that is due to social media and special events. I mean the MFA has had the open all night thing and most of that is advertised through their social media.